I adore those cats eye glasses! Your tablet looks dusty. £429.99 for an Asus tablet and keyboard is too expensive (as correctly priced on currys.co.uk) for my liking. I’m in the last stage of my (borrowed) Motorola XOOM, have I grown to love it? I don’t have a clue as I’m not a frequent user. The necessity use of the apps…well I only use the basic ones like email, internet, Twitter and pointless game apps like Chinese Poker. Entertainment is dead for this one. Bummer I shouldn’t post my review on here LOL. Wellll, I hope your BB cream smear on your transformer. Ditto on the Beauty & the Beast library. Ooh is that your business card? Ive been looking for a bag just like that one for ages, but yesstyle has so many I can’t find it! What’s it called?? Hmmm….. I’ve only recently really looked at ipads and just realized how easy they are. I’ve had a macbook for years, and so the transition would be simple. plus, they’re cheaper than laptops…. and now I see your asus on here and it also looks really cool! might be worth getting one… at some point. if i have more money. i love that you wear nail varnish on only one of your hands! And is that your dvd collection! I think i see a lot of action..sorry..noseying..hehehe. Ipad and Laptop in one? That sounds like a swell idea for the PC-er in me. Never gave into the Ipad phenom but this 2-in-1 sounds like the answer to my geeky dreams. Thanks for introducing us to it Shini! I’ve gotten more keen on the Androids and have grown out of taking a bite out of Apple, too. The ASUS transformers seems like a good piece to keep us distracted before we all finish having our own grand libraries. Love how you always keep the post clean and simple! and that two in one gadget seems like a good investment. Thanks for introducing! Wow, this Asus thing indeed can transform. Looks rad. But you know as much as we think “I am so over Apple”, Apple kinda has a lead in the technology market. They started touch screen phone mania, then followed by tablets craziness and every other company that before was so sceptic just copied the idea. People say copy can never be as good as original. I wonder how it is this time. P. S. Does it really say ‘Muzika’ on one of the labels? Or is it a partial fulfillment of my yesterday wish “Please God, make every blog in Lithuanian (or, I am guessing, Polish here?) because in the mornings I remember zero English”. lovin’ your theory about dino–>pokemon… woops. not theory (?) haha. and your note for the nosies? the way technology looks honestly makes everything look better. i love these photographs. captures a moment in time. now this is one sweet gadget that i would be willing to own because it is simply well designed and to top it all off, it runs android, my favourite thing in the world right now. damn, is that why more hair than usual has been falling off my head …? love the photographs & blurb as usual! & the message on the tablet! I am the nosiest one clearly. My sister has an ipad and I am contemplating on getting one of my own but I can’t decide!!! I think that this one, other than the Samsung Galaxy, has much potential. The keyboard is a useful feature which makes it a bit better than other tablets. I’m sure that this one will be very popular (especially among the anti-apple people). p.s. I love that Korean proverb! Terrific gadget! thanks for sharing your life! ¡También te queremos mucho Shini! ¡Besitos desde Canarias! Just assume I’ve already left comments such as “LOVE your glasses/shoes/bag”……cause i just always do and i don’t want to repeat myself daily.. Your imaginative little journalistic captions amuse me no end. You are wonderful! love the style of the pictures. specially like the text fun!! Congrats so much! Seems like a super gadget! your humor never ceases to inspire and intimidate me. Angry Birds in bed doesn’t sounds like a bad perk. Love the contents of your purse photo! very creative way to showcase this, your photos are beautiful. ahhhh. i still retain terror at such technology. I have never heard of such a Korean saying. 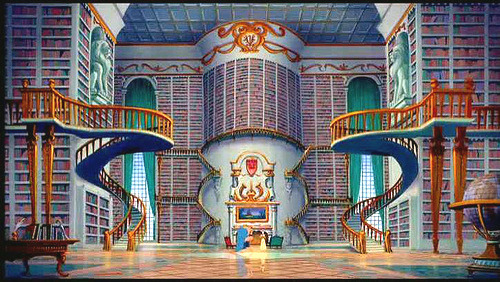 I have so much love for Angry Birds and for the Beauty and the Beast library. This little device is way cooler than I was expecting it to be, I’ve got to say. Although I’m a sucker for Apple and, to be honest, I’d rather have an Ipad2 this little guy is still pretty fierce. Do you recommend the bag? I’ve been eyeing it on yesstyle but have been apprehensive about the quality, etc. Would you say it was worth the $$? Keyboard = winning. Finally, a tablet design that’s actually…dare I say it? functional! Thank you for not blindly following the herd of flash-less iPad worshippers. I love that it comes with that nifty little keyboard. One thing the ipad is missing… Also loving all your photos, as usual. Wow, fantastic product placement, awww I want one! To jest niesamowite! It’s super cool that that the gadget transforms–I really like it! As an adamant Apple user (my entire family is–a family reunion instantly turns our house into an Apple store! ), I have to say that even I’m a little wary of buying an iPad. My mom has one, but she doesn’t really do anything on the Internet other than read things; I, on the other had, get on the Internet to read and write comments like this one! For me, the only reason I would want an iPad is if it could suddenly make my life a million times easier. At the moment, that would require all textbook companies licensing their textbooks to e-book companies so I wouldn’t have to carry 5 pounds of casebooks to school. Since that’s not going to happen any time soon, I don’t know if a tablet will ever be for me. I’m a little old fashioned in the fact that I have no Internet friends I live a pretty offline life so I don’t know if this will ever be necessary! This seems really good. Quite fabulous as I am an iPad skeptic as well. The keyboard is a plus; but no quite convinced yet. I’d say it was! The leather in the inside does come off though, you know, how cheap leather leaves those ‘dandruffy’ stuff, but overall the slouch and build of it surprised me! 정말 ‘공짜 많이 밝히면 대머리 된다’ 라는말 못들어보셨어요? 사실은 아니죠 물론. You know, I haven’t tried the ipod much, and if anything, I’d give the ipad a few more points just because of the apps available, but so far I haven’t found a single difficulty with this pad and I carry it everywhere. It’s so easy to take a photo and instantly share it with others, multitask seamlessly, it loads FLASH (important, since ipads don’t yet work with Flash)… overall it’s simply pleasant. There are plenty of apps in the Android Market too. The Sunglasses are from Jeepers Peepers, bought in Topshop! @Shini, LOL! I guess I haven’t, but I have heard my share of Korean predictions! Trust me, I have yet to see one come to light! ooo lucky girl! I dont really understand how to use most gadgets… but i still love them!! It looks cool! And this is the first time I’ve heard of it so I think Asus made a good investment on you, haha. If there is something like that transformer keyboard for the iPad then it would be perfect for me. Although what prompted me to comment here is your writing. Damn. I love the way you wrote the whole post. ‘…before the tree conceived the fruit..’? You, my friend, have a gift. i must at all times remind myself that i do not need a tablet (do not, do not, do not) because they are advertised everywhere in this city and oh, i want one. i realize i’m every advertiser’s dream because if it’s advertised well enough with pretty pictures i will buy it. thankfully i have a fairly empty wallet at the moment, or else this post would have been enough to push me over the edge and into the nearest yodobashi…! I resisted getting a smart phone (and transition myself into the 21st century) for a long time…but my boyfriend let me use his old droid in korea for the wifi and i loved it! words with friends and kakao talk alone are sweet. but i totally agree…nothing can take the place of my trusty journal and pen. @Shini, OMG! I’ve spend almost 1 and a half hour to find the bag on yesstyle.. beside that, I’ve spend almost a year looking for a bag like that, and I got the same result as always.. I CAN’T FIND IT!!! So – is it stil on the web site? and is it to much to ask for some guide lines? Heyloo, ah of course I can help! Here’s the link, http://www.yesstyle.com/en/info.html/pid.1023557041, I’m glad it’s not sold out or anything! rep the natural asian beauty.